There was no better way to end the 2017 season than by getting on three consecutive podiums. Van Riel closed out his year on a career-high note as his in his final three races of the season, he medalled in every single one. Starting in the #SarasotaWC, the triathlon turned duathlon race, he finished second to step onto his first World Cup podium on his season. He then followed it up by claiming bronze in #TongyeongWC and if that wasn’t impressive enough, in the last World Cup race of the year in #MiyazakiWC, he grabbed the gold medal and earned his first-career World Cup win! The 2017 season wasn’t the first time that Van Riel has caught our eye however, he has showcased he is a very strong cyclist on the WTS front and even placed sixth in the 2016 Rio de Janeiro Olympic Games. He trains in a group alongside elite superstars Mario Mola and Richard Murray, so he definitely is an athlete that is not by any means done making headlines. 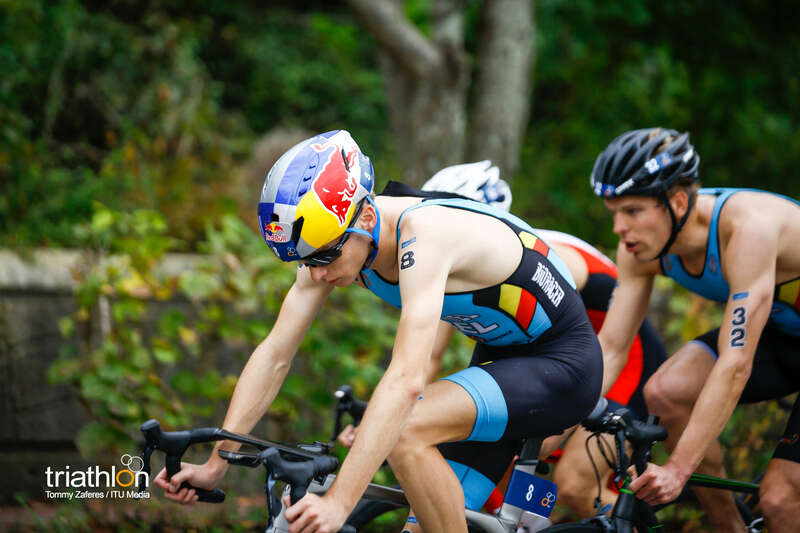 Watch the #MiyazakiWC highlights where he won his first gold medal here! 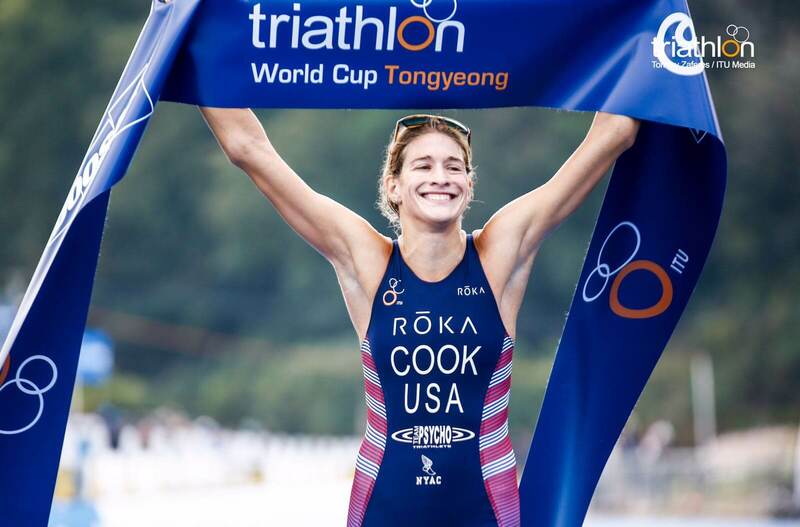 Cook had a breakout year in 2016 when she won she first-ever WTS year in #WTSEdmonton. She also collected a handful of World Cup podiums. That success carried into her 2017 season. She finished just off the podium, finishing fourth in #WTSEdmonton, but then competed in the #YucatanWC and claimed gold. She then followed up her victory by earning bronze in #KarlovyVaryWC. After finishing in the top ten at the #WTSRotterdam Grand Final, Cook would end her season on top of two podiums. She dominated the last two World Cup races of the season and won in both #TongyeongWC and #MiyazakiWC. Her success plays out due to her overall strength as a three-sport triathlete. She excels in the water, crushes it on the bike and is a solid runner. While she already is a powerhouse on the World Cup level, she is due to become a regular U.S. strength on the WTS in the years to come. Check out the #TongyeongWC highlights to see Cook win gold here!